The other day I borrowed "Starting out: the sicilian dragon" from the massive, Vatican-esque Kenilworth chess library. I like the Starting Out series a lot. In a way that few other books do, most books in this series cut a balance between being accessible and providing enough ammunition for you to go to war with your new opening knowledge. If nothing else, they provide an aesthetically pleasing survey of the basic ideas, and the writing is generally very reader-friendly (it helps that they are written by English grandmasters). However, within this series there is a real imbalance in both quality and breadth. I was mildly disappointed in "Starting out: the nimzo-indian" because it generally failed to provide any substance beyond move 8 or 9 in many lines, and its overly large type meant that 170 pages felt more like 100. I think it's suitable maybe all the way through class C play, but after that the lack of depth wilts in the face of tougher competition. Contrast that with Craig Pritchett's Scheveningen Sicilian book in that same series which uses a slightly smaller font in 200 pages along with substantial GM game analysis to provide a one-stop shopping resource for the opening that I think even experts or masters (I'm speculating here) should find useful. It stops well before Kasparov and Nikitin's technical level of detail on the subject (as it should) though my one complaint is that the book as a whole is not as accessible to beginners as it perhaps should be. The book I've seen that hits the golden mean is John Emms' book on the Scotch Game, though he had the benefit of a less expansive topic. White to move and lose? This is a critical position in the modern Dragon, with Black starting to rack up some impressive wins. In Martin's defense, he outlays succinctly why it is that 10...Rb8!? 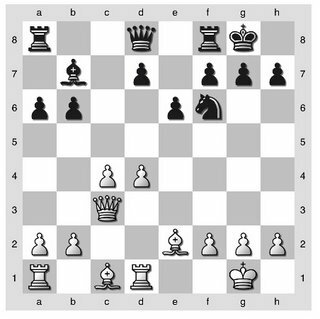 has value when compared to the mainline moves (in essence the plan is unsurprisingly to open the b-file for attack on the king, and it is perhaps beneficial not to have committed the Black queen yet because it may be needed on different squares depending on how the attack develops). However, to discuss this opening Martin provides 3 games, which all end 0-1. He goes on to call this 'the most promising line to come along for Black in ages'....which may well be true, but errs toward suggesting that White is helpless in the coming battle, a concept that is not borne out by statistics of recent Grandmaster games. On the other hand, there is surprisingly ample coverage of alternative lines, such as the Classical Dragon, Levenfish Attack, and even the Neo-Classical Dragon (1. e4 c5 2. Nf3 d6 3. d4 cxd4 4. Nxd4 Nf6 5. Nc3 g6 6. 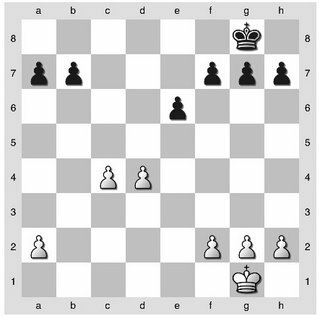 Bc4, with plans of kingside castling for White). Indeed there is a full 15 pages devoted to that last line, which may be one of the better alternatives to the Yugoslav Attack. On the whole the book does well to address such a challenging topic in a manageable way, but for the veteran Dragon diehard Dearing's 'Play the Sicilian Dragon' is to be recommended instead. Who should read it: Players rated 1400-1900. White is a tempo ahead on a related variation that is sometimes used at the highest level (4. NxP Bc5 5. NxN Qf6) and although c3 may not seem the best use of that tempo, it does not allow 6....Qf6?? because the mating threat at f2 can now be met by 7. Nd4, winning. 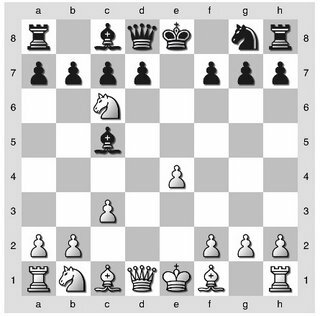 There is a typical tradeoff in the Scotch game - Black has a somewhat compromised pawn structure but his pawns are dynamic and mobile with open lines to pressure White's queenside with rooks or White's kingside with bishops. White has a solid structure and likely will incorporate f4, Nb1-d2-f3, Be3, and maybe eventually g4 into his plans for a kingside attack. There are a variety of plans for both sides, and there doesn't seem to be a consensus best move for Black even here at the 7th move, so I won't try to deaden your imaginations with my opinion. However, annotators have concluded Black's play as having been much too aggressive in this case, and Black has had respectable results in this line. 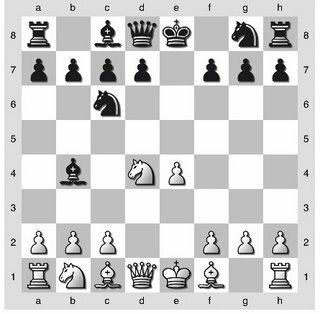 Besides, most Kasparov-Mr. X games turn out poorly for Black, so what does that prove? In conclusion, the Intermezzo Check line in the Scotch has plenty of life left in it, and it looks like a good way for Black to catch White by surprise in this old opening. There's an interesting 'Game of the Week' from Joel Benjamin on ICC that goes into some depth on this position which has become somewhat popular, though is not posing Black too many problems lately. Also, there is a New In Chess article on the intermezzo check line in general that has the real cutting edge stuff, but for the rest of us I'll stick to basics. it's hard to see where White has gained anything by his last three moves. Black is perhaps better developed, as the semi-open a-file, and developing pressure on the e-file. This move may yet put the 7. Nf5 line out of business. I will try to post some new ideas for White sometime later. I just got back from a week of vacation in Bonaire, a tiny desert island where there is little to do except snorkeling or diving, and as well catch up on some chess reading. 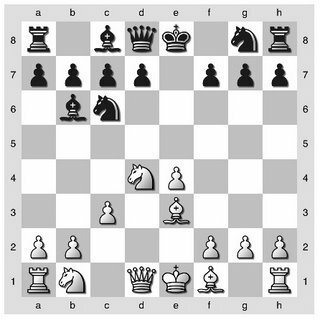 I read John Emms' partially useful guide on minor piece endgames (know how to blockade three pawns with a king and knight? Do you want to? ), and had time to finish Kasparov's Modern Chess Part Two talking about his first two matches with Karpov in 1984 and '85. It was exhausting and exhilarating reading, with seventy-two world championship games worked in (and a few bonus games). 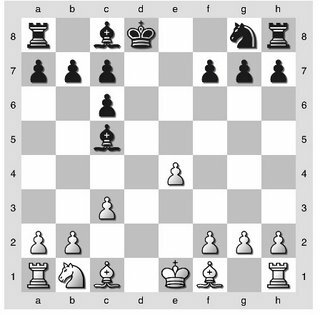 There's hanging pawn positions, isolated pawns, exchange sacrifices, and a master-level training in a number of major opening systems (both players played both 1. d4 and 1. e4 at different points). I'm certain I'm not qualified to appreciate the subtleties, but the first-person perspective makes it much more gripping than some of his other books on world championships. Now thanks to Mike Goeller I have a delightfully obscure book Hanging Pawns to read through, very apropos. It seems like an incredibly rich topic, so I'll see if I can find a good game to post on it. 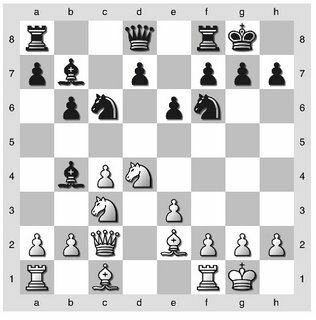 Kasparov, for one, successfully defended hanging pawn positions three times in the 84/85 matches as Black. If these don't make me a master then there's clearly something wrong with the way they're printed. I can't think of any other explanation. Playing slightly better, I was able to get a draw for Round 3 and a full point for Round 4. Below is a snippet that reminded me of last Thursday at Kenilworth when I got to a pawn ending with Ian. An observer noted how I verbally expressed my desire not to centralize my King. 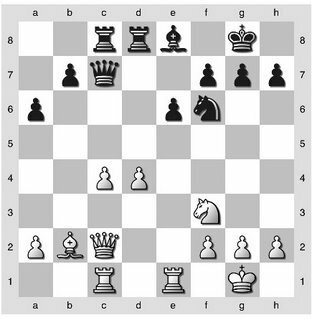 The following endgame is from Round 3 where it is my turn to play with the White pieces. That moment from Kenilworth flashed in my head and I played Ke2?? rushing towards the islolated pawn. This move gives Black the chance to turn the tables. What should have White played to hold the draw? Catching a break, my opponent slips up too and play followed as ...Kd6, Kd3 Kd5?, g5!...and an eventual draw was agreed upon many moves later. This year, for the second year in a row, I’ve had the privilege of competing in the Inter-Service Chess Championship. This year it is hosted by the Army at Ft. Benning, Georgia. MGySgt Adkins and I, Cpl Carrelli, make up the Marine Corps Team. Each branch fields a team of six; however, for the last two years, only myself and MGySgt Adkins were able to compete for the Marines. After Round 2, the team standings are…. My record for the day is 0-1-1. A poor start for me this year compared to last where I ended the first day with a full two points. I look forward to post one of my better games to be played! This is not the first time Mark and I have played a Nimzo-Indian, yet a different position arises every time. At a glance this positions looks equal to me. Finally the key position is reached: two pairs of minor pieces have been exchanged, but White maintains an edge with the bishop pair pointed at Black's kingside. 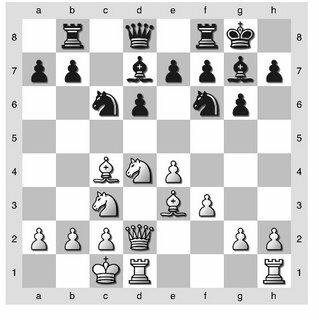 Any move for Black should now try to address one of three factors: 1) Simplifying exchanges, 2) Control of e4 and f4, and 3) Pressure on the hanging pawns. 21...Be4 22. Be2 Qb4? (Well intentioned, but misguided. I was trying to create pressure on the pawns but was doing so from the wrong side where the queen is out of play. 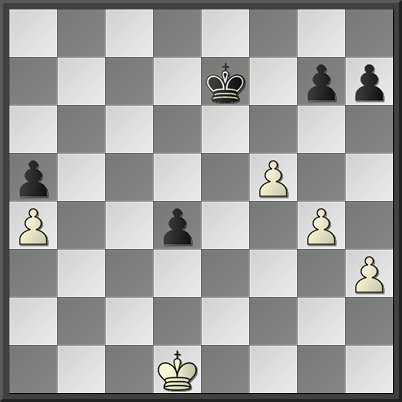 The computer cries for 22...b5!, a pawn sacrifice that leads to a drawn OCB ending, I won't bore with details. The alternative I was considering, 22...Qb7 isn't great either, 23. d5 becomes annoying. 22...h6 or ...Bg6 might have been acceptable 'human' moves). And by now rough balance has been restored with Black getting some compensating pressure on the kingside against his weak Q-side pawns. The game went on for roughly five moves but my score doesn't quite make sense, and I think I had only a minute or so. The short version is I dropped at least a pawn by an ill-timed ...b5 (at least I had the right idea), and ran out of time. The conclusion from this round: Black had the opportunity to maintain rough equality by pressurizing White's hanging pawns, even with the bishop pair deficit. A lack of focus on this point gave White a free hand, and only mutual time trouble saved Black from an earlier defeat because of tactical possibilities. Coming up next, we'll look at a game where the roles are reversed. A position like this came up in two of my recent games, and being as I lost both times that means it's time for me to take a closer look at the position. The hanging pawn duo is the less appreciate cousin of the isolated queen pawn. Like IQP positions, the side possessing the HPD has greater mobility and chances for attack. 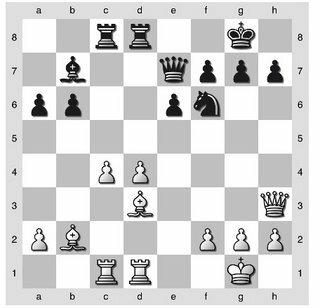 Also as in IQP's, the pawn duo can be a target and weakness, and as the game moves toward endgame, the chances favor the side without the pawn duo. 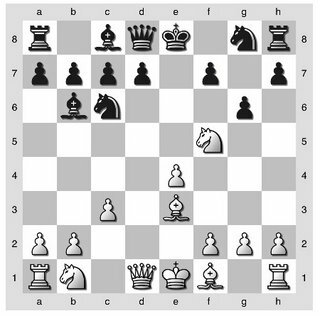 In this simplified position, the d5 push with a bishop on b2 creates tactical possibilities on the long diagonal. This advance is a constant threat, much like in the corresponding IQP position. There is also the paradoxical c5 advance, creating 'blockaded security' according to Nimzovich in which the d4 weakness can be offset by a strong outpost at d6. 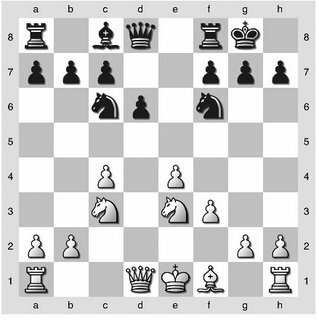 It is also of considerable importance for White to control unoccupied central squares (ie e4, e5, and f4 in the top position), as these squares can otherwise be used by Black to launch an attack wither on the White kingside or on the hanging pawns themselves. 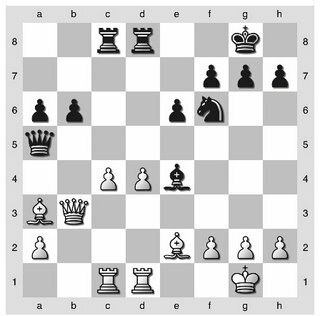 Black gets immediate equality by 1...b5, after which 2. c5 Be6 then 3....Nd5 demonstrates that White is getting nowhere (although Black may be pressed to show an advantage - blockaded security!). These are the simplified ideas, next we'll look at how to apply (or misapply) them in practice. Recently I came up on the losing end of two games, once on each side of a hanging pawn duo. 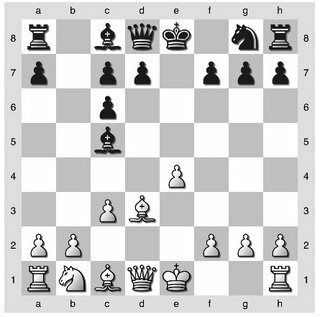 With a little help from Euwe and Kramer's volumes on the middlegame, I'll try to break down some rules for playing either side of the hanging pawns, and we can see how these ideas were used correctly and incorrectly in these games. Coming up tomorrow, Kernighan-Mangion from the recent Irving Ellner memorial. P.S. Thanks to all who have been donating to the Kenilworth Club library, it's getting pretty respectable, lots of high quality books. We've almost filled one mind-bending shelf of chess knowledge.